JW went into labor about 6am this morning. 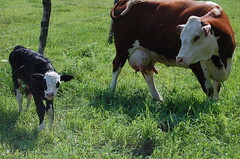 She is a hereford and was bred AI with a simmental. 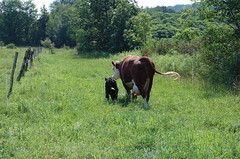 She had a bull calf. 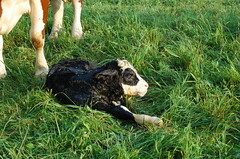 Gary was hoping for a heifer, but the labor was easy and this guy is healthy. He rests after the big morning. But it doesn’t take him long to get up. And walk around with mama. Oh, how cool! Those pictures of mama and baby are sweet.